Mix first seven ingredients in a food processor. 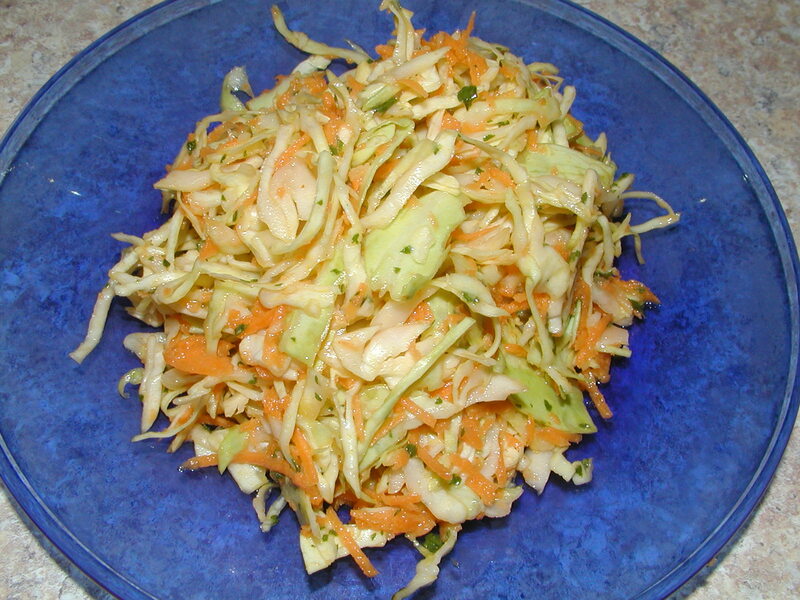 Combine cilantro mixture with cabbage and carrots. Enjoy!